Poets: Kathleen Jones, Pippa Little, Ágnes Lehóczky, Suzannah Evans, JP Reese, Ira Lightman, Leo Schulz, Toshiyuki Nagashima, Joshua Kam, Alex Pruteanu, Meg Tuite, Ruth Aylett, Kim Moore, Kevin Ridgeway, Ian Duhig, Carolyn Jess-Cooke, Graham Burchell, Tiffany Anne Tondut, Mary Stone Dockery, Claire Trévien, Ameerah Arjanee, Karen Dennison, Tara Birch, Laura Kasischke, Rachel McGladdery, Kristine Ong Muslim, Ryan Van Winkle, Vera Pejovic, Dom Gabrielli, Rick Holland, Susan Keiser, Carolyn Srygley-Moore, Tricia McCallum, Pascale Petit, Noel Duffy, Anna Puhakka, Harry Owen, Melissa Lee-Houghton, Rose Aiello Morales, Yuyutsu Sharma, Antoine Cassar, Peycho Kanev, Robert Vaughan, Agnes Marton, Lisa Gordon, Linda Rose Parkes, Michelle McGrane, Abegail Morley, Kushal Poddar, Rowyda Amin, Lindsey Holland, Sonja Benskin Mesher, Zoë Brigley, Nuala Ní Chonchúir, Traci Brimhall, Adrienne J. Odasso and Aad de Gids. 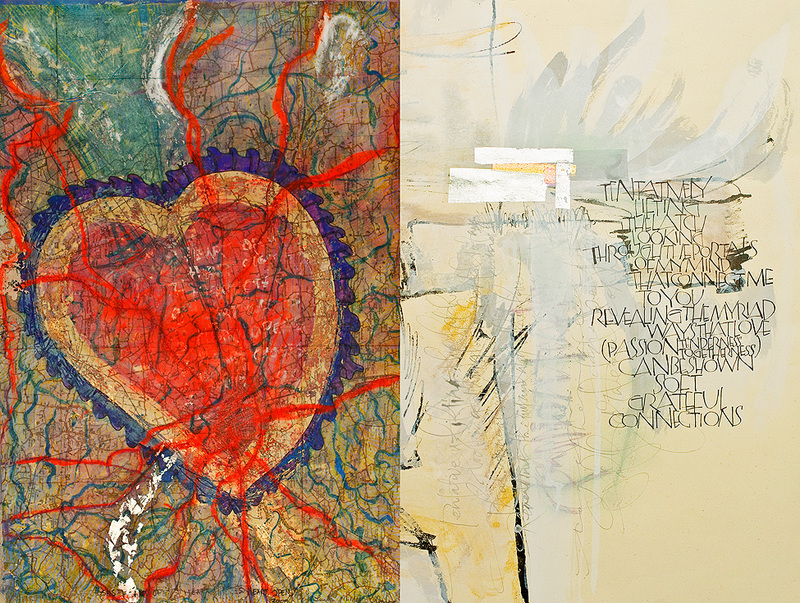 Artists: Véronique Brosset, Mark Erickson, Virginia Erdie, Pia B. Lehmann, Ilham Badreddine Mahfouz, Midori McCabe, Brad Michael Moore, Alberto D’Assumpção, Hego Goevert, Olga Dmytrenko, Neil Nieuwoudt, Goro Endow, Ljiljana Lazicic-Putnik, Constantin Severin, Michael Berry, Mohammad Bin Lamin, Katerina Dramitinou, Adrian Bayreuther, Mi-Sun Lee, Emmy Verschoor, Izabella Pavlushko, Mani Bour, Linaji, Harriette Lawler, Oralei Fauble and Juan Rodrigo Piedrahita. us at the awards event, which was held at the London Book Club. 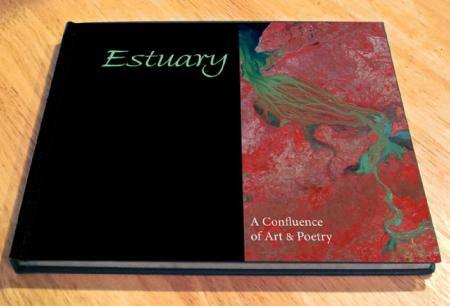 "Estuary - A Confluance of Art & Poetry"
The basic tenet of Estuary is a synecdoche for the arts, a confluence, convergence or meeting point of art work and poetry. The editors point this out in the brief introduction, taking pains to explain literally what an estuary is, the meeting points of the river and the sea. This ‘explanation’ sets the trend for the metaphorical meaning of the texts and the art work. The fusion of art work and poetry is not uncommon these days, with literay zines using such aesthetic compulsions effectively and if one may say so, profitably. However, it is unusual to see it achieved as thoughtfully as is the case here, with art and poetry given the same amount of respect and, through their placement side by side on the page, forcing the viewer to find echoes of each other in the pieces. The poems in this anthology are highly sensory, tainted by a deep coloration and sensuousness that brings out nuances between the real and the ideal, the make belief or the mythic, as contrasted with the real. There is a recurring imagistic use of shores, water, mirages, washing, etc in the poems which bind them into a thematic unity. The poems ‘Sand Dollar’, ‘From the Country, Sonnets from the Sea 18’etc typify such recurrent symbols, once again holding on to the estuary theme even if it be in a loose manner. In line with the theme, a number of poems re-employ the anthology’s title, beginning with the opening poem, Kathleen Jones’ ‘The Estuary’, in which she explores the estuary as a preserver of memory, hoping her footprints will ‘last a few millennia / slowly fossilising / into bedrock’. However, Jones’ estuary is no peaceful or picturesque scene, its sludge is ‘deceitful’, ‘A boat has been drowned / in it’, while the sea is ‘too withdrawn / for conversation’. In contrast, one of the end poems by Aad de Gids entitled: ‘Estuary Barcode Scanning’ takes a different approach, with a prose poem: ‘estuary // as if the fingers are forked within each other two flows of energy meeting a sea and a river meet’. It’s a dense poem, storing, not unlike a barcode itself, a wealth of information. Facing it is Hego Goevert’s artwork ‘Deus Ex Machina I’, which has a slight steampunk aesthetic with its gold pattern (mimicking wiring), and a fragility emphasized by the erasure of the design. Where de Gids’ work may be deemed alienating, Goevert’s complexity invites further observation, throwing the words in the shadows. ‘What washes up on different shores? Little’s list of detritus has its shining moments, ‘the sea for all its muscle cannot swallow’ the trash it has been given. To which, Mark Erikson’s ‘Dusted Beans and Broken Beams’, shows the same interest in casting the lens of observation on the minutiae of the everyday. Little writes ‘our seas are strange to one another’, and yet here, artwork and writing collide in harmony. Throughout the art work there are many such examples of finely tuned emotions in consonance with the jugglery of poetry. These pairings are the highlight of the book as they lead the poet to seek the hidden rationale for both poetry and painting. It is exactly this dialectic which gives the book its finely tuned talent of merging poetry and illusory truths with the graphics of art whether it is photography and digital art, or painting in acrylic or for that matter ink and paper. The range of the work is astonishing to view, like a riot of colours. One stand-out, Katerina Dramitinou’s ‘You Have no Idea How Early they Wake Up’, which uses photography and digital art, is an astonishing play of inner sensibilities contrasting with empirical realities of nature. Estuary is a narrative of poems; I call them narratives beause each individual poem tells a story of the self in relation to the outside world. There is a turning inwards in some of the poems, a kind of introspection after the speaker detaches himself/herself from the subject matter. In most cases, there is an emotional distancing from the subject matter that is the object and the narrator, speaker or ‘listener’. Directness is a hallmark here but, at the end of most of the poems, there is a feeling of fogginess, the poet leads the way and the reader is trapped in a cycle of doubts. However, inaccessibility in these poems work to their advantage because at the end of each poem is a beautiful swirling mist, something you would love to see but something also that you cannot penetrate further. Does poetry need such penetration or incision? Reading these poems makes me ask this question and also the eternal question, what are ‘meanings’ in poetry? These poems all have layered structures and the edifice as a whole is monumental. Likewise, the paintings are abstract if not abstruse, but their very texture is finely knit and aesthetically very compact. Peeling these layers of both poetry and painting has been for me, an exciting and stimulating experience. I captured my first photographic image at the age of five (1957). In 1971, I partnershiped up with Architectural Photographer, Douglas E. Tomlinson. 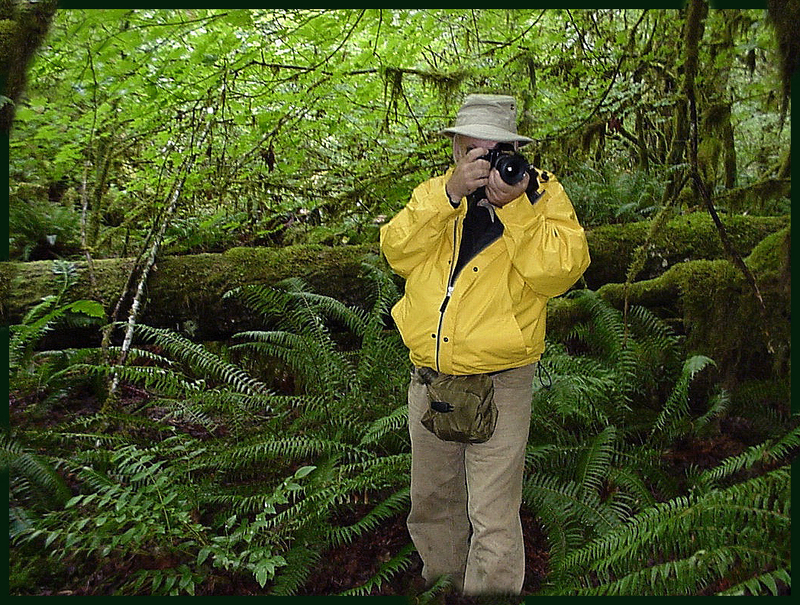 Doug and I worked together as I began to become more of a color photographer - being Doug was colorblind. By 1975, I was on my own and exploring the landscape and traveling solo as far as my wheels could go (Mexico & Canada). I began exhibiting Landscapes in Dallas, Texas USA, about 1979. My first exhibitions were at the 'Old' "Allen Street Gallery." Soon I was picked up by Jim Harmon at the, "Turtle Creek Gallery," and later, I found representation with Ruth Wiseman and her, "Ruth Wiseman Gallery," - all in, “Big 'D. '” Also, I was curated into exhibitions at the, "Univ. of Texas at San Antonio," "Heard Museum," in Mckinney, several shows with, "The Houston Center for Photography (HCP)," a permanent exhibit at, "Strictly Tabu," (all in Texas), and up at the, "Crescent Gallery," Louisville, Kentucky. During this period I was also traveling Eastern and Western Europe (before the wall was torn down, and the following reunification), and South America. I have shown art in numerous other group and solo shows. I have served as juror and curator for exhibitions of other artist's works. 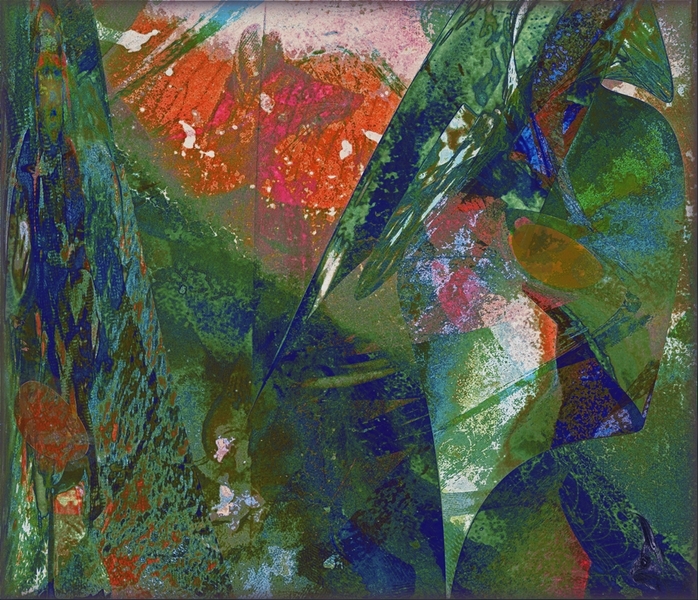 I have exhibited collaborational art at the, "Dallas McKinney Avenue Contemporary (MAC)," and have exhibited three times in Guadalajara - including a solo photography exhibition of landscapes of the Galapagos Islands at the, "National Museum of Mexico (Hospicio Cabanas)," and two exhibitions at the, "Galiera Azul" (also in Guadalajara). I have exhibited on the East Coast, in New York, at the, "Williamsburg Art Historical Center," in Brooklyn, and my, "Freedom Art(*)" work was exhibited in the opening of a traveling show - beginning at the, "Mount Beacon Fine Arts Gallery," in Beacon, New York, and later, the 'Galley Pages' of the, "Freedom Art" book, were exhibited in a group show by curator, 'Carla Goldberg,' at the, "Karpeles Museum," in Newburgh, New York. 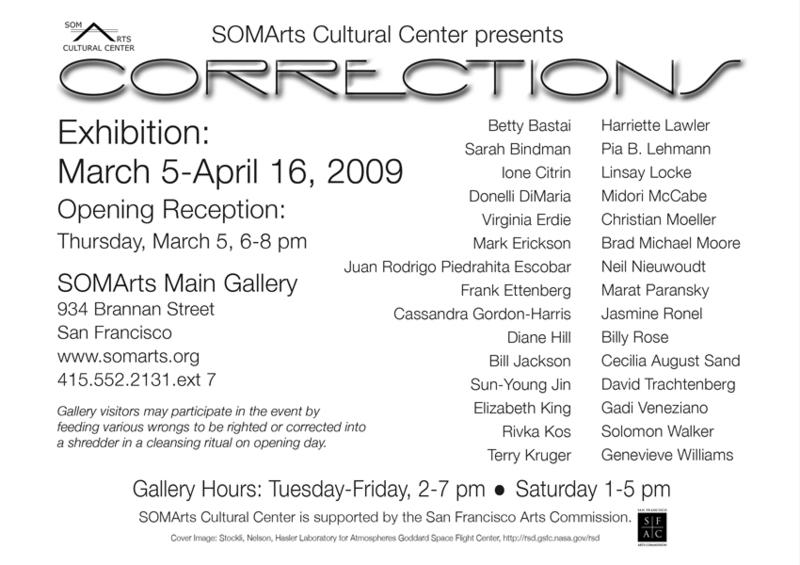 On the west Coast, In 2009, I exhibited 2 & 3-D works in an exhibition in San Francisco, California, titled: "Corrections," at the, "SomArts Cultural Center." My most reccent exhibitions showed at the prestigious, "Camera Obscura Gallery," - known as one of the world’s oldest photography galleries where I recieved a, 'Cash Award,' for one of my works. presently, I am showing work selected by curator by James Drake, for the 17th annual, "TEXAS NATIONAL 2011 Exhibition," April 9 - May 21, 2011, at The Cole Art Center and the Ledbetter Gallery in - The Old Opera House in Nacogdoches, Texas. The 17th annual TEXAS NATIONAL is sponsered by Stephen F. Austin State University. 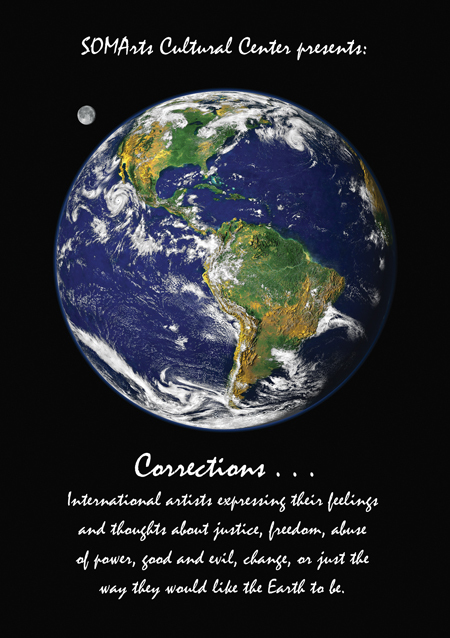 (*) The book, "Freedom & Art," is available through Blurb, and through the official website of Amnesty USA. 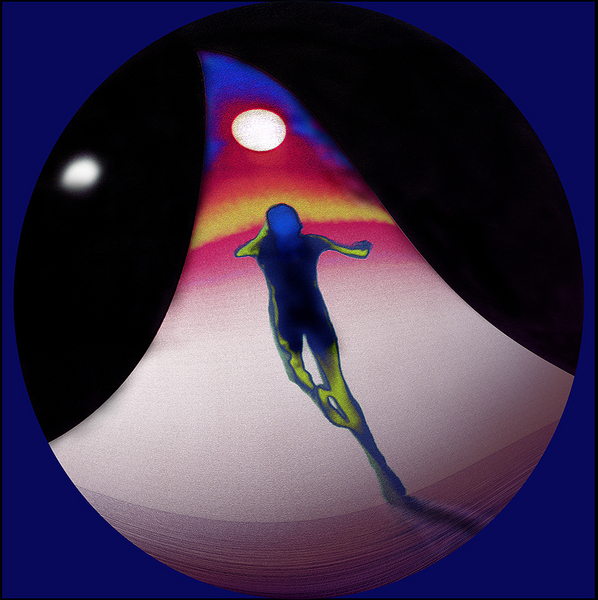 At the end of 2009, I created a world-wide Diptych Project with many artists. The thrust of the idea was to create groups of 4 artists - half of each group's members creating what they could imagine being the first piece of a diptych. They they passed their art work to another artist. That artist responded to the work with the closing second work of the diptych. This artist then began their first piece of a new diptych and passed it along to another, different artist, and the process was repeated. So far, we have 10 artists and 24 artworks - making one full dozen Diptych. There are other artist pairs coming in late to add to the ongoing tally. You can look the these results in an electronic exhibition now being shown at www.ArtBrainstorming.com. This work comes from a private group of 29 world-wide artists working once from the original Private Artist Group, #artmesh (now defunct) - which was based in Berlin, Germany (which also spawn the international 'Micra Art' group). Please visit our ABS website: which also has opened more shows titled; "Dichotomy," "The 'May' Show," "Feeling Soulful," "Summer Heat," and the, "Fall Open Show. ABS has eight to ten shows annually, and is a great place to see a varity top-notch international artists... ArtBrainStorming.com allows you to follow the careers of dozens of my artist-friends from around the world! I have Blogs and Internet Portfolios you can access anytime at AbsoluteArts.com (Blogs) in Columbus, Ohio, RedBubble.Com in Australia, Painterskeys.com (Canada), and at Artist Review in (London). I have studied with the following artists: John Paul Caponigro, Cushing, Maine via Santa Fe, NM, Sean Perry, Austin, TX, Keith Carter, Houston, TX, and, Nic Nicosia & Vernon Fisher, Denton, TX. Also, Joel Meyerowitz, Jerry Uelsman (seminars), Arnold Newman, and to conclude, Olivia Parker, Dan Fenton, and Susan Kay Grant - all workshopped in Dallas, TX. "Raymond Nasher's Distinguished Service to the Visual Arts Award," "John Dabney Murchison Trust Award," University of North Texas, "Best Editorial Photography," Donray Media Group, Arkansas, “Excellence in Photography,” Art Horizons, New York, “Outstanding Achievement in Photography,” The International Art Competition (I.A.C. ), New York," "Cash Award," - 'The Art Of Photography 2' at the Camera Obscura Gallery - Denver, Colorado. Every human being, whether obscure or famous, makes a difference. Each individual has a place, a Path. Opening reception for the artists, Friday, December 10, 5:00 to 9:00 PM. The Camera Obscura Gallery presents the second annual fine art photography competition, The Art of Photography Today 2. The exhibition runs from December 10, 2010 through February 5, 2011, with an artist and public reception from 5 to 9 PM on Friday, December 10. The Camera Obscura Gallery’s 2010 Call for Entries brought to our attention a large number of talented artists from around the world. 231 photographers from six countries participated, entering 923 images in four categories: Abstract & Experimental, Landscape & Nature, People, and Urban & Architecture. The art of photography has seen tremendous change in the last few decades. The increasing presence of digital imaging has added new dimension to creative exploration and technical excellence. 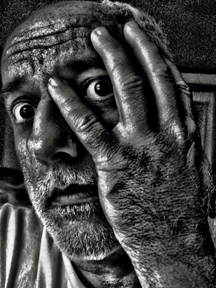 Entrants to, The Art Of Photography Today 2, ranged from novice to pro creating a broad spectrum of distinctive work. The jurors, Hal Gould and Loretta Young-Gautier, selected 96 photographs (3 images by Brad Michael Moore) from 81 artists from 11 different US states to represent this diverse variety of technique and style. The exhibition selection includes black & white, and color images, using both experimental and traditional photographic methodology, including three-dimensional compositions. The Camera Obscura Gallery will present cash awards and certificates of merit at the opening reception on December 10. Juror & Director, Hal Gould, recently received the prestigious Bonfils-Stanton Foundation Award for Arts and Humanities for his decades-long and tireless crusade to promote the art of photography. The Bonfils-Stanton Foundation Annual Awards honor individuals making significant and unique contributions in the fields of Arts and Culture, Community Service, and Science and Medicine. The Annual Awards Program was established in 1984 in recognition of Charles Stanton's desire to honor individuals who are advancing excellence in the Foundation's major areas of interest. Each year, the Foundation Trustees recognize outstanding Coloradans with the dual goals of bringing acclaim to their efforts and motivating others to greater accomplishments on behalf of Colorado and its citizens. Sometimes referred to as "Colorado's Nobel Prizes," the Annual Awards have honored prominent Coloradans for excellence in a broad range of pursuits. Honorees represent excellence in such fields as artistic direction, civic engagement, university leadership, historic preservation, biomedical research, chemistry and physics. Several honorees have gone on to receive the Nobel Prize, many have served as mentors to others, and most have continued to make significant contributions for years following receipt of the Foundation award. The award was bestowed at a gala luncheon ceremony on May 13, 2010. In addition to honoring Hal Gould, the award brought considerable recognition and credibility to photogra phy as a collectible medium for artistic expression. For more information about the Annual Awards Program and the other honorees, visit www.bonfils-stantonfoundation.org. A new Fine Artist Group has evolved into the SiteWelder Family named, "ArtBrainStorming." Once rooted in the German private arts organization, #artmesh, http://www.ArtBrainStorming.com began as a small group of loosely knitted artists of fine art, from across the world, who then became a small group of their own. Their first project together - titled, "Diptych Duets," was reason enough to begin a public website so that our public friends could also share in it and our upcoming projects. unique artist combinations where everyone involved did both a first, and second half of a diptych - and no diptych contained the same two artist's works. Place: SomArts Cultural Center, San Francisco, California, USA. As artists, we often express our feelings and thoughts concerning injustices, abuses of power, good and evil, or just the way we would like the Earth to be. Even if it’s only our own little corner of the world or in our own heart and soul. Making corrections, righting wrongs. This exhibit is dedicated to that theme. An example of a “wrong” could be a polluted landscape, political or governmental abuses, ignorance and lies, war scene or a disaster. An example of a “right” (a correction) could represent or express any situation that has been corrected. The work can be of any style or media: representational, abstract or conceptual. We will also have a secondary shredder to receive petty or selfish concerns – just so people can get these things “off their chest” or just to get rid of the negative emotions that they are causing a person to harbor. At the end of the opening reception, our "court jester" will read aloud some of the Wrongs to be righted. In olden days, the king's court jester was the only one who could present truths in public before the king - without losing his head. As artists, we can’t raise money the way musicians can, but we can raise awareness and focus. This one exhibit won't change the world, but at least we artists can stand together and hopefully get some attention paid to what we'd like to see corrected. The state of the world these days often seems so grim and hopeless, terribly out of balance, in desperate need of some "magic." Some Magic... and some Truth. This exhibit is about International artist expressing their feelings and thoughts about justice, freedom, abuse of power, good and evil, change, or just the way they would like the earth to be. "The Voice of Art in a Battle for Freedom: International Artists Create Book in Support of Key Political Figure"
On October 2nd, 2008, the Mirca Art Group, an international coalition of professional artists, will release their landmark collaborative effort, a book entitled Freedom and Art, to the public. The book features 74 works of art, each accompanied by a short statement about the synergy of freedom and art in our world, and is being sold to raise funds in support of Daw Aung San Suu Kyi, a key political figure who has been under house arrest in Myanmar (formerly Burma) for the past 18 years over her bid for political freedom. Several artists who have Premiere Portfolios with absolutearts.com will be participating in the book: Leo Evans, Doug Kinsey, Don Murphy, Brad Michael Moore, Cassandra Gordon-Harris, Luise Andersen and Carla Goldberg, who compiled the information and created the publication. The book will be released to the public initially through an event called “Set a Book Free” on Mahatma Gandhi’s Birthday, October 2nd when all artists featured within the pages of the book will place a copy donated by Internet-based publishing site Blurb.com in a public location to raise interest. The project was born out of artmesh, a social media website that allows artists to network via forums and groups, similar to the way users interact on social mega-site Facebook.com. Swedish founder Stefan Tunedal created the Mirca Art Group as a private forum within artmesh that would focus on fostering art-orientated discussions in an open, tolerant atmosphere. The Mirca Art group eventually grew to include nearly 250 artists from six continents and over thirty countries. Aung San Suu Kyi and her battle for freedom – a passion of Tunedal’s – became a rallying cause for the group and is the inspiration for the book. According to Carla Goldberg, US-based coordinator and senior editor for Freedom & Art, the book was meant to harness the energy and passion of the artists for Mrs. Aung San Suu Kyi into an actionable strategy to aid in her release. On the effort to work with artists from around the world, Carla says, “The project has brought our group together in a whole new way. There has been a lot of wonderful back-and-forth on message boards and everyone has been willing to offer their individual talents where needed.” On the effort to assemble the work of the artists together, she says, "It has been like assembling a beautiful puzzle...each piece is unique and, in the end, everything has fit together to create a complete work of art." After its initial release to the public in October the book will be available for sale through the official website of Amnesty International and Amazon.com. All proceeds from the sale of the book Freedom & Art will be donated to Amnesty International to support efforts being made on behalf of Mrs. Aung San Suu Kyi's . A traveling exhibit featuring a selection of the art published in the book is also planned. It will open February 14, 2009, at the Mount Beacon Fine Arts Gallery in Beacon, NY. “I wanted to see what I can do from this safe studio in Stockholm where it would be impossible to even think of imprisoning an elected (official)," says Tunedal when asked about his passion for the plight Mrs. Aung San Suu Kyi. “A woman like her should not be treated like this. She has the right to be free," adds Hungarian artist Krisztina Asztalos, writing from the other side of Europe. "Aung San Suu Kyi's efforts...are an inspiration for the many people throughout the world who are striving to attain democracy, human rights and ethnic conciliation." By working together in the spirit of global collaboration, these artists have become a united voice of hope and pierced places where freedom has failed with the liberating power of artistic expression. There are 74 Mirca artists from 27 countries represented. Australia, Austria, Belgium, Brazil, Bulgaria, Canada, Germany, Hungary, India, Italy, Japan, Lebanon, Libya, Malaysia, the Netherlands, Norway, Poland, Portugal, Romania, Russia, South Africa, Spain, Sweden, Switzerland, Turkey, UK, and USA. participants on Freedom along with their art, inspired by that gift. Group founder Stefan Tunedal, wanted this book to be a true act of freedom. Thus each participating artist will purchase the book and “set it free” in a public place! Four artists who will be participating in the book: Brad Michael Moore, Cassandra Gordon-Harris, Luise Andersen and Carla Goldberg, who compiled the information and created the publication. The Voice of Art in a Battle for Freedom represents International artists create book in support of key political figure. On October 2nd, 2008, the Mirca Art Group, an international coalition of professional artists, will release their landmark collaborative effort, a book entitled Freedom & Art, to the public. The book features 74 works of art, each accompanied by a short statement about the synergy of freedom and art in our world, and is being sold to raise funds in support of Daw Aung San Suu Kyi, a key political figure who has been under house arrest in Myanmar (formerly Burma) for the past 18 years over her bid for political freedom. The book will be released to the public initially through an event called “Set a Book Free” on Mahatma Gandhi’s Birthday, October 2nd when all artists featured within the pages of the book will place a copy donated by Internet-based publishing site Blurb.com in a public location to raise interest. The project was born out of artmesh, a social media website that allows artists to network via forums and groups, similar to the way users interact on social mega-site Facebook.com. Swedish founder Stefan Tunedal created the Mirca Art Group as a private forum within artmesh that would focus on fostering art-orientated discussions in an open, tolerant atmosphere. The Mirca Art group eventually grew to include nearly 250 artists from six continents and over thirty countries. Aung San Suu Kyi and her battle for freedom – a passion of Tunedal’s – became a rallying cause for the group and is the inspiration for the book. strategy to aid in her release. On the effort to work with artists from around the world, Carla says, “The project has brought our group together in a whole new way. There has been a lot of wonderful back-and-forth on message boards and everyone has been willing to offer their individual talents where needed.” On the effort to assemble the work of the artists together, she says, "It has been like assembling a beautiful puzzle...each piece is unique and, in the end, everything has fit together to create a complete work of art." After its initial release to the public in October the book will be available for sale through the official website of Amnesty International and Amazon.com. All proceeds from the sale of the book Freedom & Art will be donated to Amnesty International to support efforts being made on behalf of Mrs. Aung San Suu Kyi's . A traveling exhibit featuring a selection of the art published in the book is also planned. It will open February 14, 2009, at the Mount Beacon Fine Arts Gallery in Beacon, NY. “I wanted to see what I can do from this safe studio in Stockholm where it would be impossible to even think of imprisoning an elected (official)," says Tunedal when asked about his passion for the plight Mrs. Aung San Suu Kyi. “A woman like her should not be treated like this. She has the right to be free," adds Hungarian artist Krisztina Asztalos, writing from the other side of Europe. "Aung San Suu Kyi's efforts...are an inspiration for the many people throughout the world who are striving to attain democracy, human rights and ethnic conciliation." By working together in the spirit of global collaboration, these artists have become a united voice of hope and pierced places where freedom has failed with the liberating power of artistic expression. There are 74 Mirca artists from 27 countries represented. Australia, Austria, Belgium, Brazil, Bulgaria, Canada, Germany, Hungary, India, Italy, Japan, Lebanon, Libya, Malaysia, the Netherlands, Norway, Poland, Portugal, Romania, Russia, South Africa, Spain, Sweden, Switzerland, Turkey, UK, and USA. 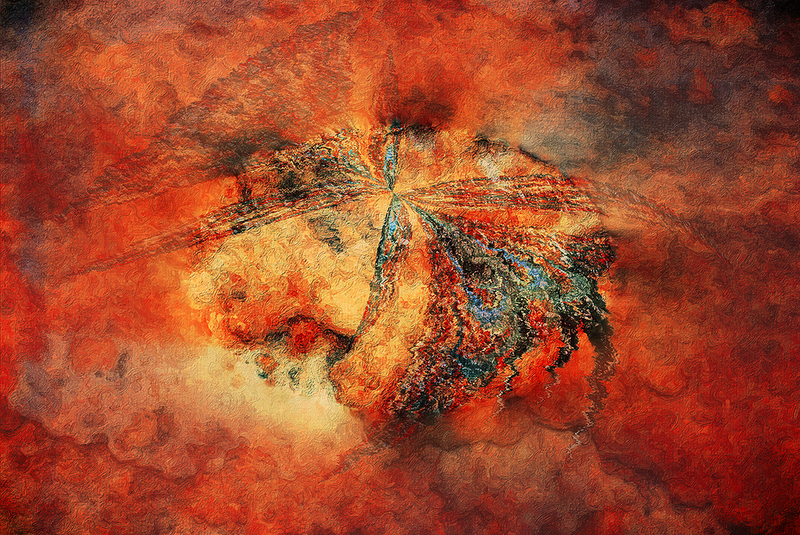 "Why put archaic process photography together with digital photography in the same show? It's because they each subvert one of the central tenants of photographic modernism: the transparency of the medium, and the truthfulness of the image. Archaic process photographers, with their chemical signatures, compromise transparency, while digital process photographers, as they elaborate the plausible impossibilities of their vision, abandon literal veracity. 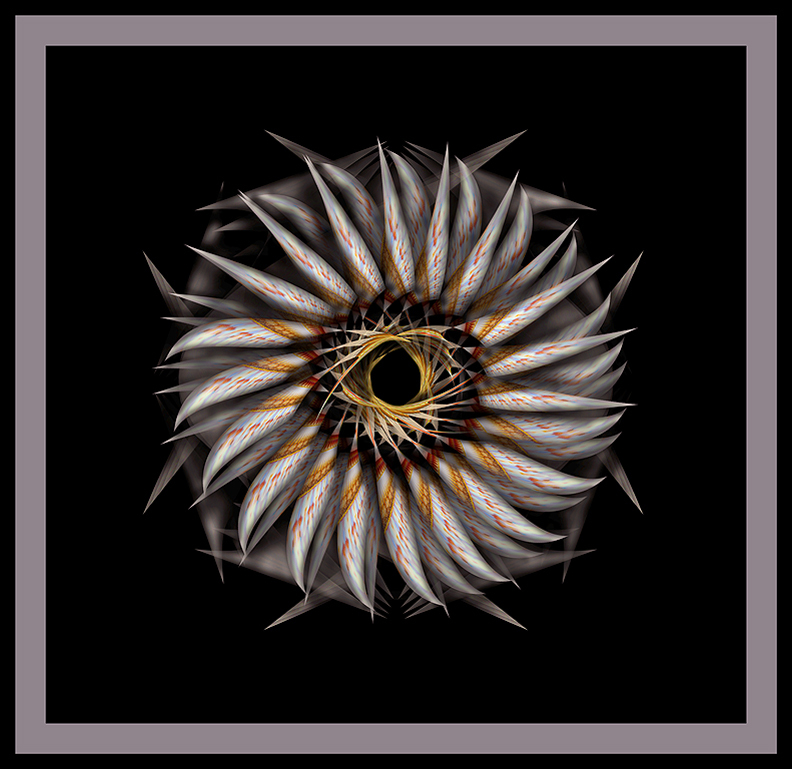 "Feathered Flower" © 2006 Brad Michael Moore (*) Stolen Art! 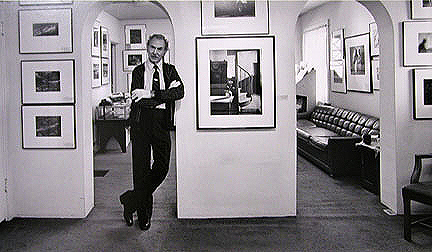 Jerry Uelsmann (b. 1934), one of the contemporary pioneers in visionary photography, though working entirely in the chemical darkroom, points out in his interview with Paul Karabinis quoted on his page in this catalogue (and available in full at www.uelsmann.net ), that thirty years ago this modernist conception of photography was so entrenched that his combinatory montages were dismissed (in New York) as not "true" photographs! Of course, I can still hear that old sense of the word photograph in my head (as in "Is it a drawing or is it a photograph?"). A photograph was something that represented true reality, full stop. A photographer was a technician responsible for the accurate conveyance of that reality through the photographic medium. This aesthetic concept hatched endless debates over whether photography was an art or merely a craft, a debate which finally began to fade only in the late Sixties when vintage photographs began commanding painting-like prices on the art market. 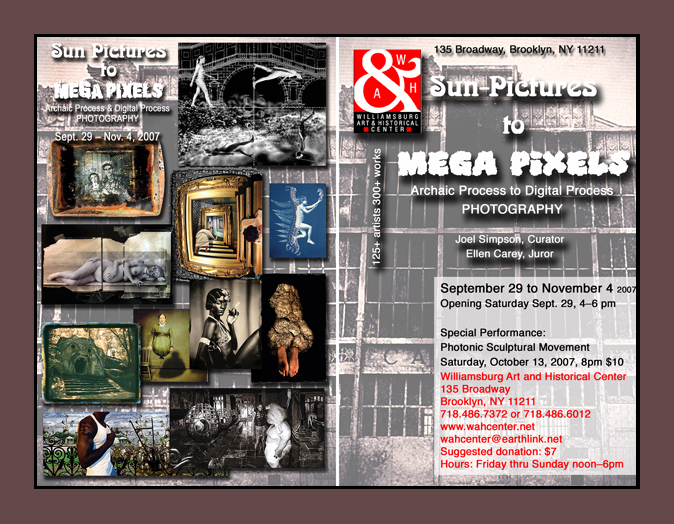 "Sun Pictures to Mega-Pixels" shows at the Williamsburg Art and Historical Center in Brooklyn, New York 2007-09-29 until 2007-11-04. Diptych Duets - A Directed Artist Project of International Artists building Mixed-Media Diptychs in colabborated but distiant pairs. As a director and/or president serving on three boards of Visual Arts organizations - mediation is a prominent skill.